These two Google Algorithm Updates, are not your average animals… Google is easily the most popular search engine in the world. It is used by millions of people all over the world for finding the content and information they need. It has also become an important tool for businesses of all sizes. A good ranking on Google means consistent web traffic, which can add up to thousands of dollars in revenue. Before these two updates were published, people were able to use a number of techniques to get their low quality websites to the top of the Google rankings. In an attempt to stop this, Google has instituted two major changes, the first being the Panda update and the second being the Penguin update. These two Google algorithm updates have caused quite a stir throughout the Internet as many sites have lost their important rankings. An algorithm is a programmed set of rules that exist within a search engine. These rules operate like a formula that the search engine uses to score a web page when you perform a search. Those web pages that receive the highest score are the ones that get ranked on the first page or what is generally referred to as the SERPs or Search Engine Results pages. Now I realize that I have over simplified the process but just know that the rankings are also based upon many other factors which are part of the scoring process as well. Whether it’s Google, Yahoo or Bing, every search engine has it own set of search algorithms. These rule sets are closely guarded and to my knowledge never shared with the general public. 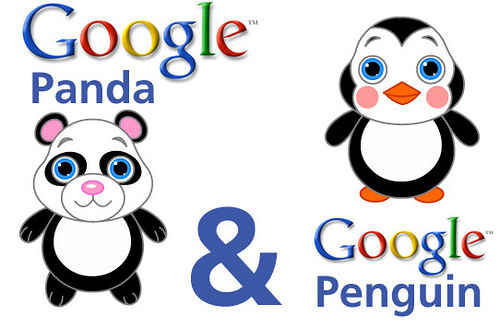 Why the Need for Google Panda? Google’s Panda update was the first to come out and it had major implications for a number of sites. The purpose of this algorithm was to target and penalize low-quality content on low quality websites and prevent them from ranking high in the search results. Many people had created sites which were designed for nothing other than reaching the top few positions in the search results for certain keywords. This had gotten so out of hand, in fact, that it became a mainstay in many Internet marketing circles. The problem is that these sites had very little by way of real content and were making it hard for many people to find legitimate information during searches. The Panda update was introduced to change the way the search engine ranked sites. Many websites which were designed only to fool the search algorithm quickly lost their coveted positions. The Panda update dramatically effected several content farms, such as EzineArticles.com, which had always been considered a site that had low-quality content, which was out ranking much superior content from other websites. Note: “EzineArticles” has taken great steps over the past few years to correct this issue. Another impact which rarely gets talked about is what I like to call the “attribution-fix”. This was the fix of the problem of syndicated content out ranking its original sources. This meant that if an author allowed his or her content to be shared on other sites, those sites would sometimes be ranked higher in the search results than the original articles on the author’s own website. 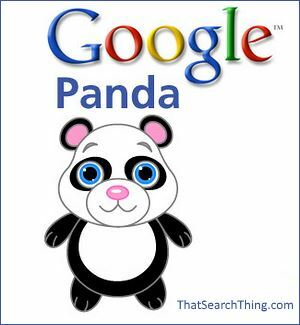 The initial launch of Google Panda took place in February 2011. However, since then there have been several updates to Google Panda. 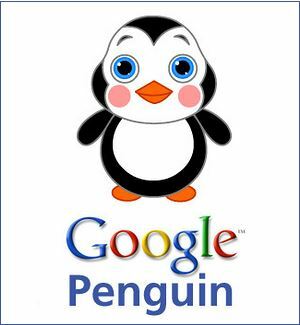 Why the Need for Google Penguin? The Penguin update was introduced shortly after the Panda update. The goal of this update was similar but its technique was different. This update targeted more subtle aspects of websites which were created to fool the search algorithm. Penguin was created to identify and penalize those sites that were using “Black-Hat” SEO techniques or those things that would unfairly affect the search results, which is a clear violation of the Google Webmaster Guidelines. Many websites were using certain programs to spam links to their site on any blog or website that had open comments. They were also stuffing their website with keywords and linking to their site from other websites which had no relevance to the topics. The Penguin update changed the way Google factored in things such as keywords and links. The website, Cognitiveseo.com has a great info-graphic showing white-hat versus black-hat SEO. The original launch of Google Penguin update, was in April 2012. It also, has had many updates since its inception and has now been incorporated into Google’s core (primary) algorithm set. What Should I Do as a Website Owner? Both of these Google algorithm updates are meant to make it easier for people to find relevant high quality sites. If you want to create a website which is immune to these two updates, as well as future updates, then you must focus on quality. The quality of your website and the material it presents needs to be as high as possible and above all else stay within Google’s Webmaster Guidelines. Keywords should appear naturally throughout articles and links to these articles should be posted on other websites which are relevant to the topics of the articles. Programs which create articles and other content should also be avoided as Google has been known to send real people to investigate certain websites. This was an attempt by Google to ensure that its customers are provided the absolute best user experience and to make sure that no one is able to manipulate the rankings unfairly. Google is a business with a lot of customers, as millions of searches are performed by people daily. Google is the most popular search engine and it has a responsibility to its users. These two Google algorithm updates, while causing quite a bit of frustration among certain circles, are intended to increase the quality of the service which Google offers. They simply want to ensure that they are delivering the most relevant and highest quality search results possible. It is this dedication to quality which has brought them to the position of popularity they now enjoy. While there may have been a lot of anger and criticism related to these two Google algorithm updates, anyone who has worked hard to create an interesting, informative, relevant and high quality site really has nothing to worry about.